Currently my personal focus is on Cheyenne History and Cultural Preservation, my educational focus involves subjects around Cultural Resource Preservation. Haáahe, Nesoeoeve Néhaševéhe Ôhméseestse, from méave’ho’éno, near the Henenéo’hé’e, Vétanovéo’hé’e and Naahéo’hé’e Vallies of Southeastern Montana. I’m nótâxévestôtse of the Hotamémâsęhao’o. Hello, TwentyStands is my name I’m Cheyenne from Lame Deer, Montana near the Rosebud Creek, Tongue River and Otter Creek Vallies of Southeastern Montana. I’m a society warrior of the CrazyDogs Society. I’ll first tell a little bit of my past, I lost my mother at the age of two and was raised by my grandparents, my grandfather was a Chief in the Chiefs Society and Council of Forty Four and because of my grandfather I was always attending Cheyenne Ceremonies and Traditional Military Society Meetings. My father (grandfather) was a direct descendant of Chief Morning Star (aka Dull Knife) who helped lead the escape from the Indian Territory on Sept. 9, 1878, and the Fort Robison Break Out on Jan. 9, 1879. Being raised by my father and understanding the Cheyenne values he taught, helped me when he was called by the creator. He was called back when I was 12 years old and not too long after when I was 14 years my mother was called back to creator. After losing my parents I started to live on my own staying with friends and family for short periods of time while I still attended school. Currently my personal focus is on Cheyenne History and Cultural Preservation, my educational focus involves subjects around Cultural Resource Preservation. Some of the subjects that I’m interested in are Geospatial Information Technology, Anthropology, and Natural Resource Management. In 2014 I attended the Salish Kootenai College to get my foot into their Tribal Historic Preservation Program and in the fall of 2014 and spring of 2015 I attended the Southwestern Indian Polytechnic Institute to further my skills in their Geospatial Information Technology Program. 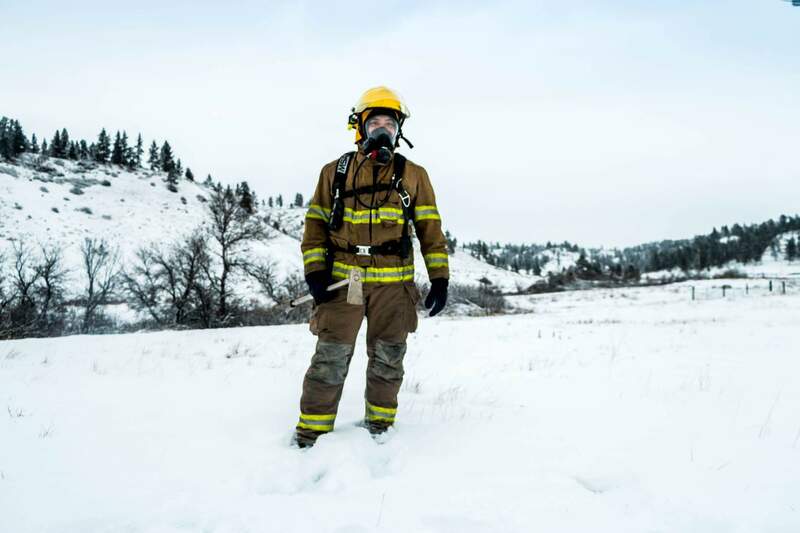 When I’m back home on the Northern Cheyenne Reservation I commit my time to the Northern Cheyenne Fire Protection Department as a structural and wildland firefighter, when I’m not at the fire department I’m out in the hills with my brother doing forest logging type work. 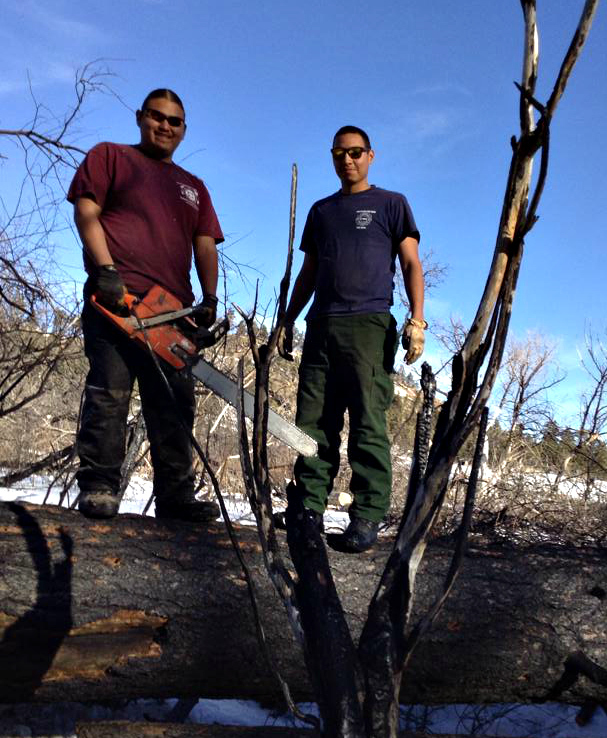 In the winter of 2014 my brother and I cut trees and chopped wood by hand to provide the Northern Cheyenne Elders and People needed fire wood. 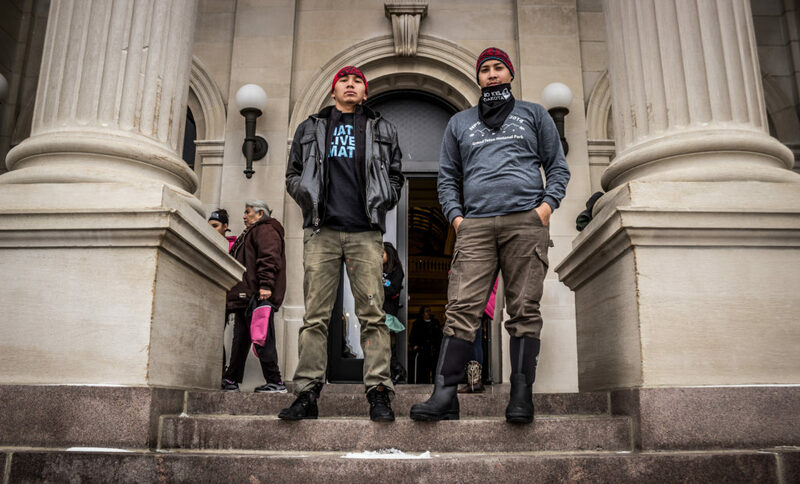 I’m also a co-founding member of EcoCheyenne which is a group of young Northern Cheyenne Tribal Members taking on the fight against the coal development on Cheyenne homestead lands. The Northern Cheyenne Tribe has been fighting the coal development since 1970 and all the EcoCheyenne founding members are taking that hardship off the tribal members who have been fighting since 1970. All of the founding member of EcoCheyenne are trained in photovoltaics, so we are trying to promote a sustainable community through solar energy and alternative’s. One of my main focuses is on the Sand Creek Massacre because I’m a Sand Creek massacre Survivor Decedent. In 2007 I did not know anything about the Massacre of my ancestor, I was asked to attend a run in Colorado and once I arrived I learned about the history of the massacre and why I was running. 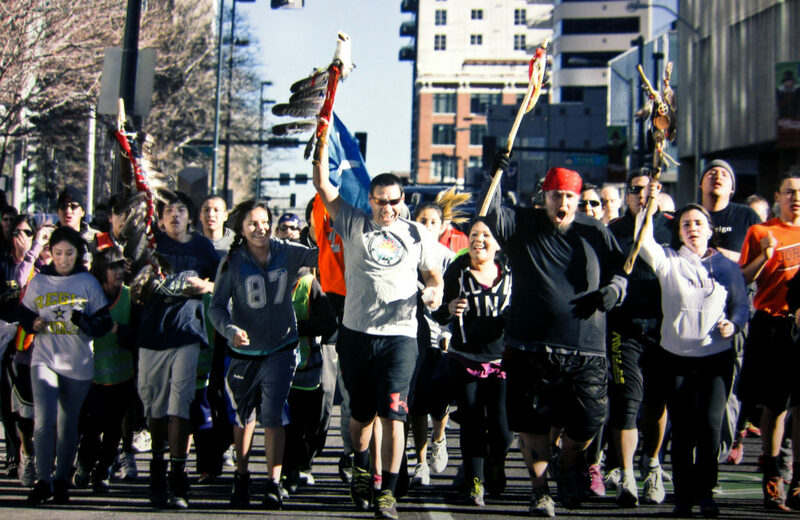 Over the years I started getting more involved in Sand Creek events by attending committee meetings, doing personal research, and one year coordinated a group of primarily Blackfoot Tribal high school students from Hellgate High school In Missoula, Montana to take a weeklong trip to Colorado and participate in the 14th Annual SCM-Spiritual Healing Run. In 2014 I was the first Cheyenne or Arapaho Survivor Descendant to work at the Sand Creek Massacre National Historic Site as a paid employee. My personal work at Sand Creek was to protect the site in any way possible and to help the ground heal from the tragic event. My professional work at Sand Creek was to provide Natural Resource, Cultural Resource Management and assist in planning for the Sand Creek Massacre 150th Remembrance. One of my current goals for my community is to lead a group of high school students to a Photovoltaics training with Lakota Solar Enterprises in Pine Ridge, South Dakota during the early summer and then in the late summer work with the Northern Cheyenne Tribe to have the students install a solar system to the Chief Little Wolf Capital Building. In order to fulfill this goal, I’m seeking partnership with other organization to cover the training, travel, and equipment cost with a small scholarship award to the High school students at the end of the year.